Home > Different Courtrooms > What Happens at an Immigration Hearing? 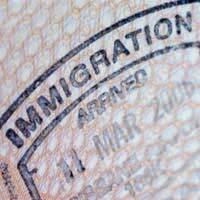 An immigration appeal is heard by one or more judges in a number of locations in the UK. There are no juries in immigration appeals tribunals. Judges are legally qualified, and there are sometimes other members of the tribunal (non-lawyers) who also hear appeals. There are two types of hearing, the Case Management Review hearing (CMR) and the full hearing. A CMR is only held in the case of country asylum appeals and cannot be adjourned. If you do not have your own representative it is very important that you attend your CMR because if no one attends the judge may decide to determine your case without a full hearing. If you need an interpreter to translate the proceedings for you, you must let the tribunal know in advance so that they can arrange one for you. If you have a legal representative they should be able to arrange this for you. Tribunal Service interpreters have more rights than other interpreters, so for obvious reasons they are a better choice. You should arrive at least 20-30 minutes before your hearing date. When you get to the centre for your appeal there will be a number of cases listed for hearing at the same time. You may have to wait some time before your case is called on, but the clerk of the court will be able to give you an idea as to how long you will have to wait. It is important to have some money with you in case you want to buy drinks or refreshments, although you will usually be provided with water in the hearing room once your case has been called on. The hearing is usually held in a room with desks and chairs. It does not look like a traditional courtroom, like the ones normally used in television dramas. The judge(s) sits at the front of the room at a desk or table and the other people sit at tables and chairs in front of him. The Home Office representative (the respondent) will usually sit on one side of the room, and the person appealing (the applicant) and his or her legal representative (if they have one) will sit on the other side. If you require an interpreter they will sit next to you. An interpreter must interpret the proceedings fairly and without bias. They will give their translation of the proceedings to you in a low voice or whisper during the proceedings, either while people are speaking or after a statement has been given. Any witnesses will be called into the room to give evidence as and when they are required. They are not allowed to hear the proceedings prior to giving evidence, and can only remain in the hearing after they have given evidence with the permission of the judge. As hearings are in public, there may be members of the public and very occasionally journalists present in the room too. The judge(s) does not decide whether or not your appeal has been allowed (successful) or dismissed (unsuccessful) at the hearing. You will be informed as to the outcome of your case in writing. If there has been an oral hearing, this will be within two weeks of the hearing date. If the appeal was on paper only, the decision is sent approximately two weeks after the hearing. There is no general right of appeal although both parties, either the appellant or the Home Office, may be able to make an application for judicial review. This is a review of the case on the basis that the judge got the law wrong. There is a very strict timescale for making this type of specific application (within 5 days of receiving the decision) and it is vital that you seek advice from a lawyer before pursuing this option. @Edi, good news, finally got the decision from Court. Positive outcome, appeal allowed. Did you get IHS payment link and the call-in letter yet for your case? Yeah @Ash83 I got few days ago, be patient you will get soon. Had hearing at FTT on 21st Dec and waiting still, in 7th week. Venue was Harmondsworth. Court tells you they will get back to you within 2 weeks.. But you are looking at 5 months. Hearing on 24th September judge allowed visa for my wife just wondering what happens now..
How long does it take to get a hearing date from upper tribunal? Salam everyone..my husband who is a Britishcitizen are fighting for my visa since January 2017.my application was refused in March 2017.then i received a notice for pending appeal in May.in Septemberi got notice again from court for hearing date which was in February 2018. But it got adjourned .that was so sad news for me and my husband . But we can'tdo anything during process but only SABAR and DUA. now we got next court date which is end of this month INSHA'ALLAH.just need your prayers.i miss my husbandso much ..
Factually incorrect. You don't sit beside your lawyer. You sit facing the Judge. Hi can anyone tell me that how much time it takesfor homeoffice to issue visa after getting a decision from court that appeal is accepted. Hi please help me to get an idea about our current situation on our case. Our asylum case was refused after 4 years and then we made a appeal. When made a appeal UKBA replied saying that there is error on decision and new decision will be informed in due course. While waiting for that we got a letter from tribunal that there will be a pre hearing review and we don't have to attend for it. Also the hearing date being set if they decided by pre hearing whether to go head with the hearing. Pre hearing will be on 2 days time and we still didn't get new decision by UKBA. So what will be the out come if this kind of incident happened? What happened if they didn't go for pre hearing? Hi all I am sorry that you all have to go through this terrible situation with wait times. My Husband and I met in 2009 and since then have made multiple application Partner route LTR them all basically without success, In 2017 we got married, I know late but he HO had our passports for years, My partners now out of dateand we were refused by many wedding offices, until we managed to get one that would marry us, my partner went back to his country in July 31st 2017 Voluntary return, we waited for 6 months and were refused under the grounds they did not believe we were a genuine couple yet we had contact with the HO for over 8 years and they held both our passports for each application as soon as one failed we started another. On the 2nd of Jan 2018 got refusal email and appealed straight away. we do not know when we will hear anything anyone have any idea or experience of this please. We are so desperate now and miss each other terribly, it has been so hard and the HO have made so many mistakes. Hi -got appeal dismissed by FTT .Does anyone know how long before getting permission to apply to UT ? ?also waiting time to have hearing by UT ..Many thanks . Hi. I sent an out of time appeal to Ftt tribunal and gave reasons for the delay on the form. The tribunal then send another letter on how to pay the appeal fee, which I did. Does that mean my out of time appeal will be approve for hearing?. How long will it normally take for the tribunal to respond if I have a hearing or not?. Hi . Can anyone help please. I got a notice for hearing at first tier tribunal on September 2018 . So it's very long time for me . How Can I get any earlier date . If possible what type of document should I provide to submit them..
Hi guys, I know it might be obvious but how does getting pregnant help with the appeal? I have a hearing in Feb and have a 1year old who is separated from me due to the spouse visa refusal for my wife. Wishing you all Good luck. Hi, Can any one help. I have been given hearing date in September 2018. My Tier 2 visa expired and I applied for Set LR. Can I work full time with any employer as previous job does not exist nor the employer?